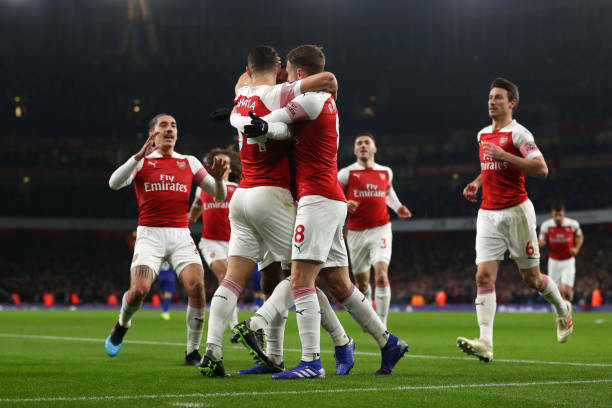 The gunners will today be hoping to keep pressure on the Premier League top four by getting a win against Cardiff City which is in the bottom half of the table. Arsenal has today welcomed Cardiff City at its home ground and they have just released their starting eleven, and it’s very surprising because Unai Emery has benched Granit Xhaka, Aaron Ramsey and Ainsley Maitland-Niles. Is he keeping them for the City game? Well we’ll soon know after the game in the interview. Mesut Ozil has returned to the Arsenal starting eleven after nearly one month and the Arsenal fans are excited to see him, they will be hoping that he proves to Unai Emery that he should be a regular starter for the gunners this season. The gunners are currently in an injury crisis and most of the Arsenal supporters expected the boss to include Dinos Mavropanos in the starting eleven but he has however opted to playing Nacho Monreal as a centre back.